As part of the second grade religion curriculum, students at St. Joseph/St. 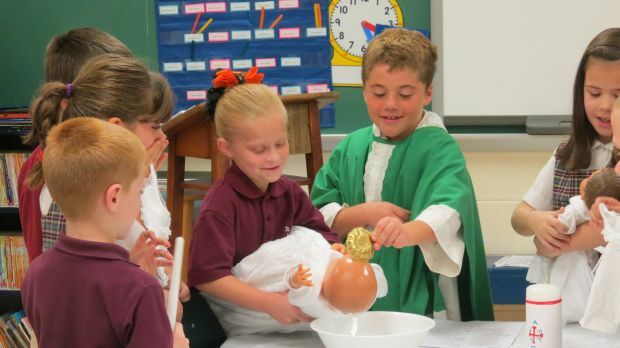 Robert Catholic School in Warrington learned about the sacrament of baptism during recent classes. Above, the second grade students learned the various symbols, words and actions in the celebration of baptism through creative role play.